I refer to my Wattle Woods stream - a small wriggling Moosey-made waterway. Every painful detail of this garden project has been faithfully recorded. I've quickly learnt that water features have minds of their own! 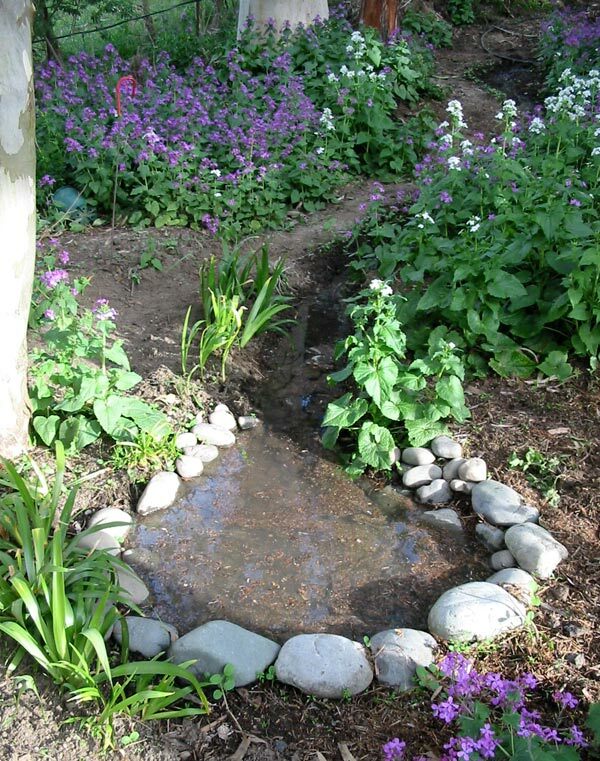 Will the Water Keep Flowing? I didn't want to experiment with the flow rate, the diameter of the pipe, the incline of the ground, and so on. These were engineering matters - all I wanted to do was to watch the water trickling by. I thought I'd plant marginals along the sides - maybe Ligularias en masse, exotic reeds, watery irises, rushes... But in typical pioneering spirit this hasn't quite happened yet - I've been too busy checking that the stream actually keeps flowing! 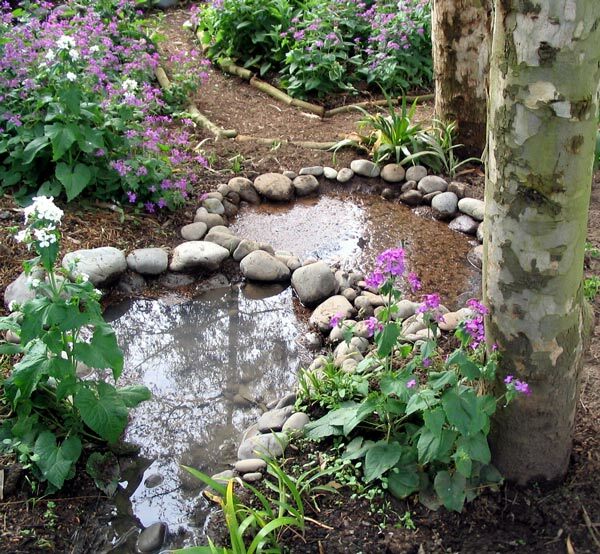 At first I built one small end pond and moved in some Iris Japonica plants, transplanted some flaxes, casually threw stones of different sizes into the stream bed (hoping for that natural look). Then I triumphantly dug a second pond - this was my solution to the dreaded FLOODING. Six hours later I remember going to proudly check my earthworks - Aargh! The water has stopped flowing! Both ponds were completely empty! I've got used to that now! I just use the garden hose to re-start the water flow, without even blinking. I've even installed a seat and planted some Pittosporums on the fence-line. I've sat, content, and watched the water.